I am thrilled to share exciting news! 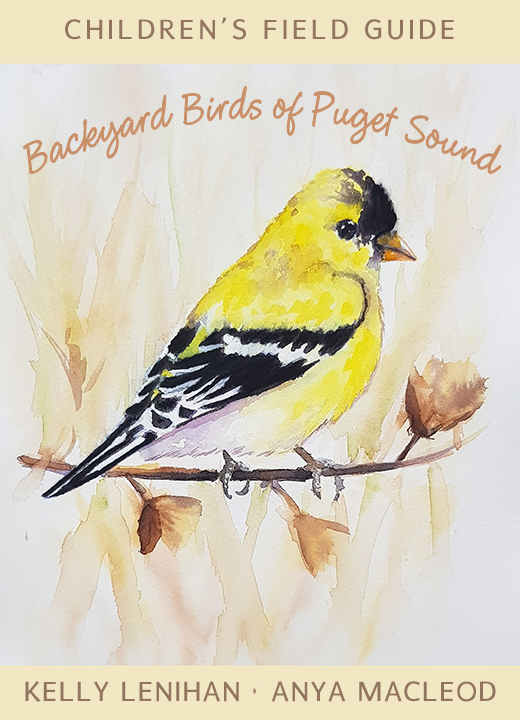 My first foray into nonfiction, a children’s field guide on backyard birds of Puget Sound. Perfect for young children who want to attract avian visitors and how to best support the species commonly found in backyards. This guide includes 70 beautiful color illustrations – by the uber talented Anya Macleod – of the most frequently observed backyard birds, with notes on sizes and distinguishing markings. PRE-ORDER TODAY and be entered to win a pair of KIDWINZ Binoculars! « Can you spare 30 seconds? I need your help!